After a great family vacation to Puerto Rico, I was pleasantly surprised to get back to New Hampshire and find that everything went so smoothly while I was gone. Omar seems a bit jumpy every time there is a puff of breeze, I’m not sure why. Come to think of it, the laying hens are, too. Other than that, the farm is in great shape. Speaking of layers, our pullets have started to lay. So we have plenty of pullet eggs. Pullet eggs are just as nutritious and delicious as regular eggs, only about half the size. (The official term in the egg business is “pee-wee” eggs.) If you are interested, we are offering pee-wee eggs while they last for $1.50 per dozen. 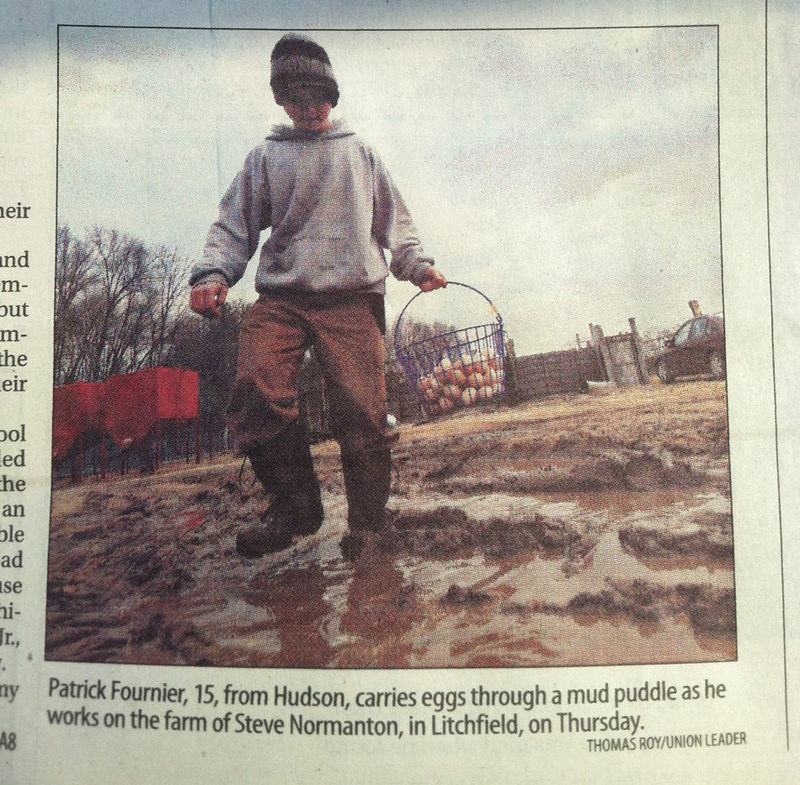 And speaking of eggs, look who made the front page of the Union-Leader today!